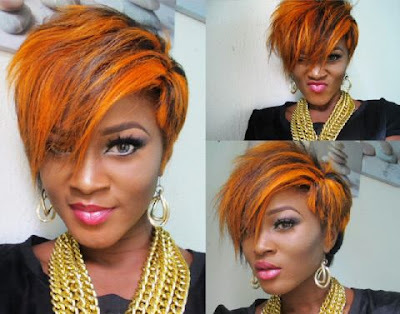 Mulch-talented Eva Alordiah, Rapper,Entertainer, Creative writer, Makeup Artist, Fashion designer & Blogger is out and about with a dazzling orange tint hairstyle .. I love it!!! Only Eva can pull this off and still look glamorous.